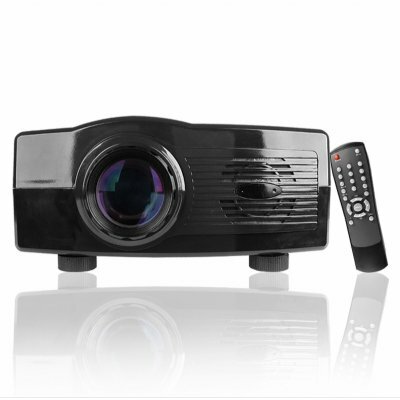 Successfully Added Home Multimedia Projector -110V to your Shopping Cart. New Home Multimedia Projector used to enjoy your favorite movies and TV shows like never before with this high resolution Home Multimedia Projector that will project images up to 150 inches onto your wall white screen. Feel like you are at the movies right from the comfort of your living room - whether it is DVD movies, games, TV shows or power point presentations, you can enjoy high quality picture definition from 30 to 150 inches with the CVEQP-480H. Take advantage of Chinavasion fast direct shipping and no M.O.Q. (no minimum order quantity) policy. Order your sample today!